The prevalence of traumatic brain injury (TBI) among military personnel in combat settings is startling. According to the Institute of Medicine, 20% to 23% of American soldiers, sailors, and airmen in Afghanistan and Iraq suffer TBI. As long as this country puts its personnel in harm’s way—and politics aside, to some extent that must happen—treating TBI in those who serve our country is a must. 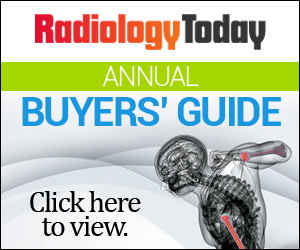 Prompt imaging and treatment seems like a reasonable place to start, and is the topic of this month’s E-News Exclusive. Between one-fifth and one-fourth of military personnel serving in Iraq and Afghanistan sustained a traumatic brain injury (TBI) during their service, according to the Institute of Medicine. Neuroimaging physicians at Walter Reed National Military Medical Center in Bethesda, Maryland, believe earlier MRI imaging of those patients might someday lead to better outcomes among afflicted servicemen and women. RSNA is reporting the results of a study that found that women may face more struggles than men when it comes to concussion recovery. A recent study found that women who experience more hot flashes during the menopause transition, especially at night, are more likely to develop changes in the brain that put them at a higher risk for developing cerebrovascular disease, according a report from the University of Pittsburgh Medical Center. While the brain shrinks with age, the number of cells contained therein remains constant according to the results of an MRI study by researchers from University of Illinois at Chicago. Endovascular treatment of intracranial aneurysm may lead to aneurysm recurrences in a large number of cases, according to a brain imaging study recently published in the journal Radiology and announced by RSNA. Coming up in our October issue is our Fall Showcase. Contact sales for more information.